I escaped (and made pho)! Yesterday late afternoon/early evening, as the sun was getting low, I took another walk up the road with Lenny. I was delighted to discover that the warm temperatures during the day had cleared the roads pretty well. I was desperate to leave, and figured my window was limited to before sunset (didn’t want to risk all that water freezing back over), so I took a deep breath and started my car. Other than one brief shaky stretch of road right outside my subdivision, the roads were really great! Hooray! Sweet sweet freedom. No joke — I got tears in my eyes about three minutes into the drive. I was stuck at home alone for nearly 100 hours, and I was finally free! So, where did I drive? To the grocery store, obviously. 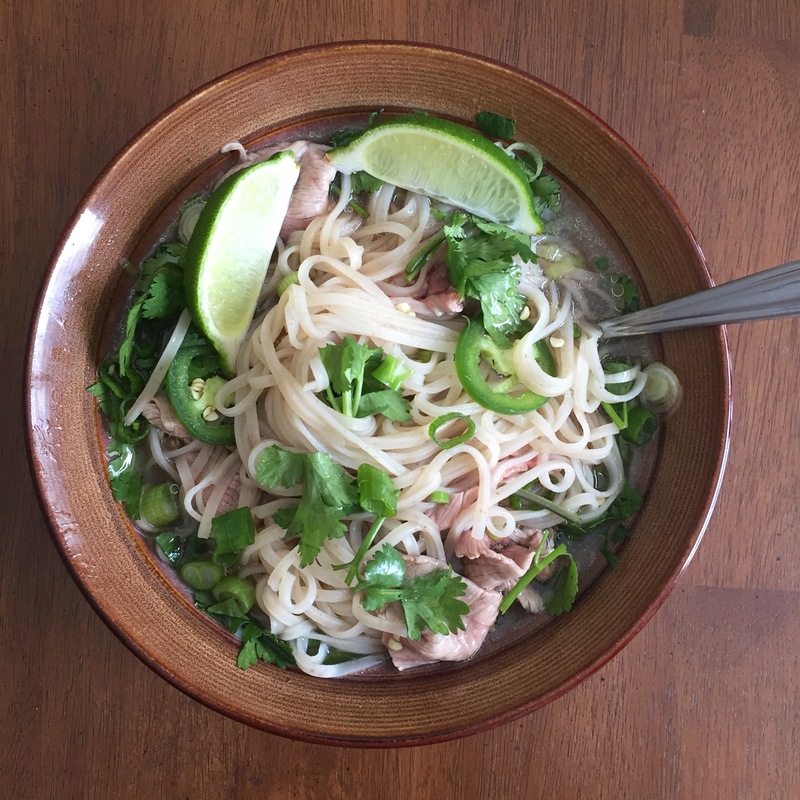 I’d been wanting to try making pho for a little while now, and I’d finally found a recipe I wanted to try. I picked up some beef marrow bones, some toppings, a couple other things I was running low on, and headed back home. I will confess that I forgot to buy bean sprouts, but I’m also not crazy about them… so please excuse their absence. And isn’t one of the greatest things about cooking from scratch being able to gear it toward your own tastes, anyway!? I highly recommend giving the recipe a shot, and I am so excited to now have a fridge and freezer full of delicious pho broth for whenever the mood strikes. If you try it, I’d love to hear about it! 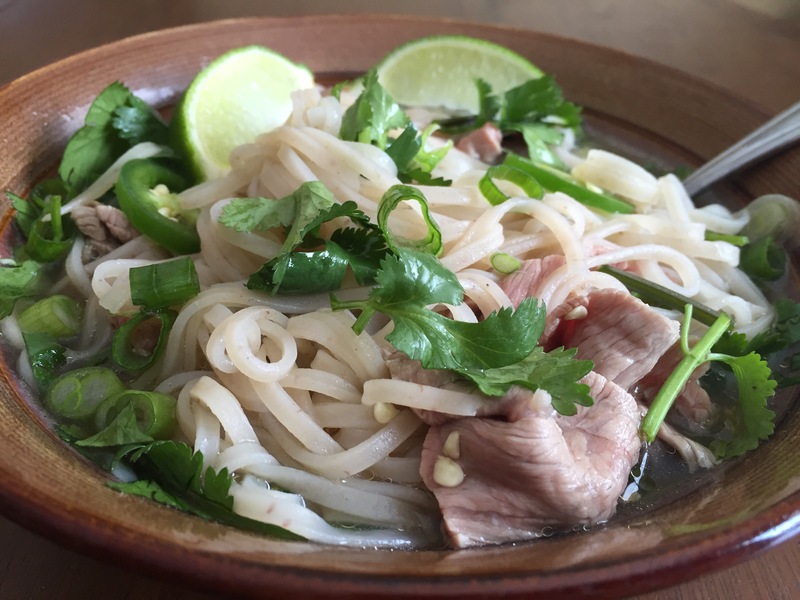 That is one gorgeous bowl of pho! I can’t wait to try this recipe out.